As you know we started the Darknet Commenter of the Month Competition on June 1st 2007 and it’s been running since then! 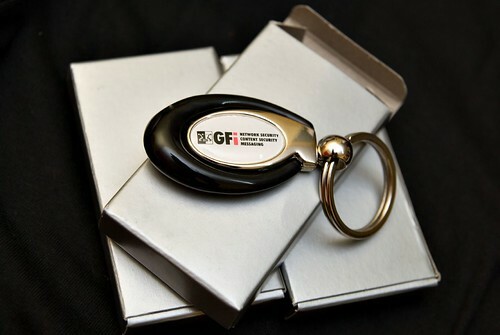 We have just finished the eleventh month of the competition in April and are now in the twelfth, starting a few days ago on May 1st – Sponsored by GFI. So announcing the winner for April…it’s fever! He had a 10 comment lead on zupakcomputer, fever another new-comer came out of nowhere. April saw some good discussions and was a little more lively than March, I hope May picks up bit! I’d like to thank you all for your participation! I hope it keeps getting better as 2008 develops with more interesting news and tools. Keep up the excellent discussions, it’s very interesting reading especially on some of the more controversial topics. Keep commenting guys, and stand to win a prize for the month of May! 14 Responses to April Commenter of the Month Competition Winner! hee-hee, eM3rC gave you a fake e-mail? You should really expect that kind of thing, being a hacking site. I mean, how does anyone know you’re not just spying on all potential subversives. I just like to state out loud what everyone else thinks but won’t say cause they think they’ll make more money if they keep quiet. Who cares? Who’s going to do anything if you do say / write it out loud? Everyone doing it for a living are still going to get plenty of business from all the dum-dums that don’t have a clue on how their networks work; I’ll be more likely to get hired after typing that. Well done fever. Good luck with the job hunt zupak! I am too much of a wuss and feel unworthy to comment usually. You guys put together some damned good articles though. Maybe make a wiki of the tools rather than having us have to search back through the posts. thank to all of you who commented. if no one else had made comments than it would have been a boring discussion. it was very interesting and you all have some good insight. thanks again. keep the comments coming. long live the community. why isnt there a second place prize too? i think it i well deserved. yeah, this site seems like they have a lot of work everyday. Seeing that they put up a post almost daily.. Great work fever : ) and the Darknet team. I didn’t use a fake email. Just one of my slave ones. I have a few emails set aside. The first one for personal stuff, second for spam stuff, and the last one for everything hacking related. I dont check the spam and hacking ones regularly so that’s why I didn’t respond quickly to Darknet’s emails. Also had problems with my cell (which is my home phone) so calls also were a problem. Hopefully that’s all worked out now. Gratz fever on winning the competition! Looking forward to posting again and good luck to those of you who should win but haven’t yet (you know who you are). eM3rC gave a real e-mail, hes gotten the prizes now. Changlinn yah it’s about time we did some more summary/list articles. Rather busy at the moment though. Keep on commenting guys, we thrive on your comments…it’s validation that something is cool or interesting if it sparks a decent debate. Oh, I forgot to say congrats to fever! So – congrats to you fever.